To the uninitiated, concept cars are a tricky, er, concept, to understand. 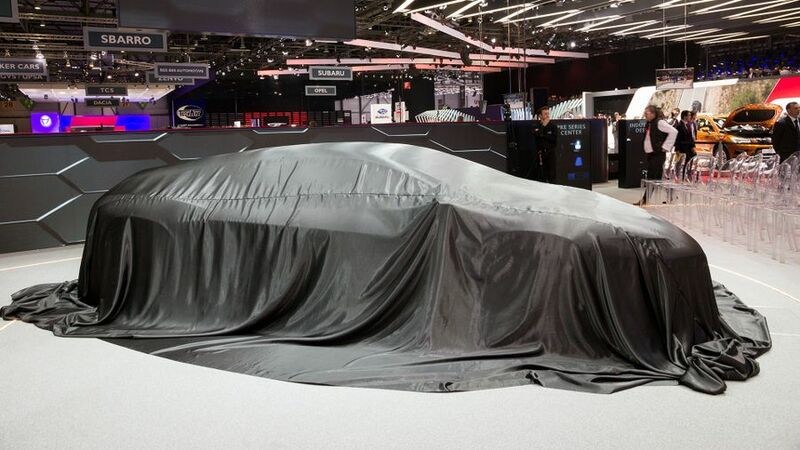 Manufacturers go to all the trouble of crafting these exotic-looking creations with all their weird and wonderful shapes and textures, but then nine times out of ten, it seems like these cars are never seen again once they’re removed from the motor show stand. What’s that about? Well, the truth is that there’s more to it than that. Concept cars are used to trial new approaches to a variety of things in the area of car design - whether that be styling, interior design, technology or engineering - to see whether these new approaches might be suitable for use in that company’s production cars. Yes, some concept cars do successfully make the transition from show stand to showroom, but by-and-large, it’s about the ideas and innovations used on these cars, rather than the cars themselves. However, many of these creations still radiate brilliance and magnificence in their own right, and just because most of them are destined to spend their days sitting in museums and design studios around the world, that’s no reason not to marvel at their beauty. Here are some of our team’s favourites from over the years, and the reasons why. The Volvo YCC (Your Concept Car) was created by Cynthia Charwick and revealed at the 2014 Geneva motor show. On the face of it, this four-seat coupe is just another Scandinavian concept, with clean, simple lines. But the significance lies in the fact that it quickly became known as "the car for women". Why? Because - gasp - it was designed by women with holes in the headrests for ponytails, and removable textile seat and door panels so one could change the colour and pattern of the interior decor. Patronising or actually useful? We'd say the latter, but the contentious nature of an argument about cars designed specifically for women hasn't gone away and is why this concept continues to be relevant today. 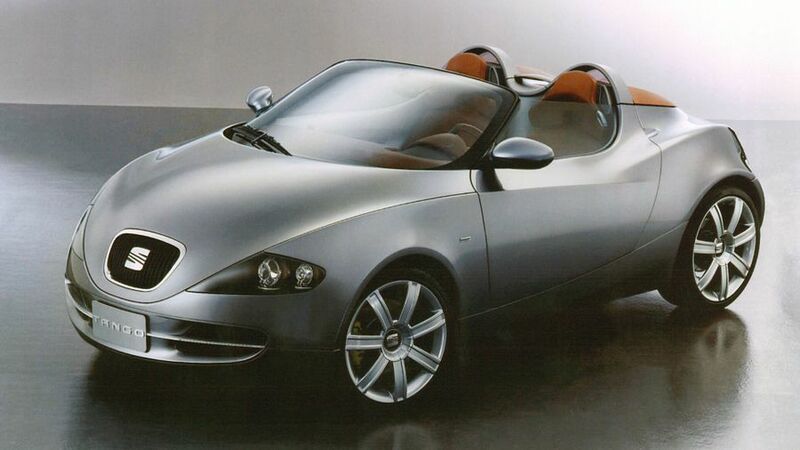 Seat unveiled the Tango at the 2001 Frankfurt Motor Show, and it was met with rave reviews. No wonder. As a handsome-looking roadster with two doors, two seats and a 1.8-litre turbocharged petrol engine giving 180 horsepower, it was a massively appealing prospect for buyers, as well as being the perfect embodiment of Seat’s sporty, fun-loving character. And, being a Seat, it would’ve more-than-likely had an affordable pricetag had it ever made production, making it even more appealing. However, after much deliberation and speculation about whether to offer a production version, the Volkswagen Group (which owns Seat) decided to instead concentrate on producing the Altea MPV, which was more commercially lucrative. Boo hiss. Unlike most concept cars, the Furai was a machine that went as fast as it looked. 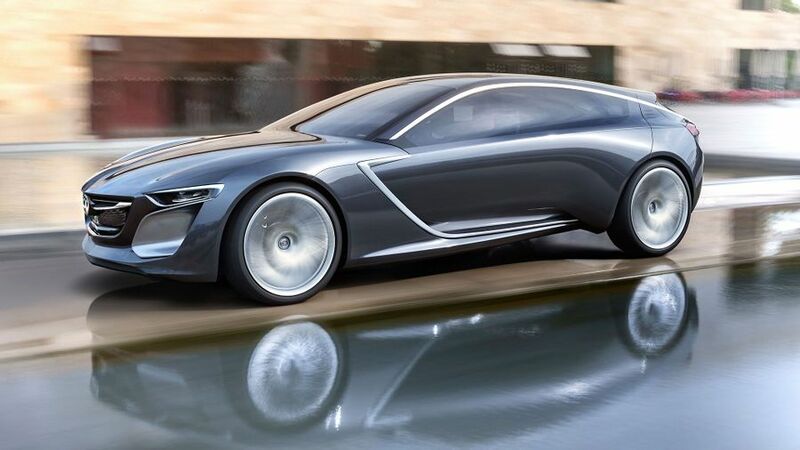 It was revealed at the end of 2007 as the last in a series of concept cars collectively called Nagare, which would go on to influence the look of future production Mazdas. 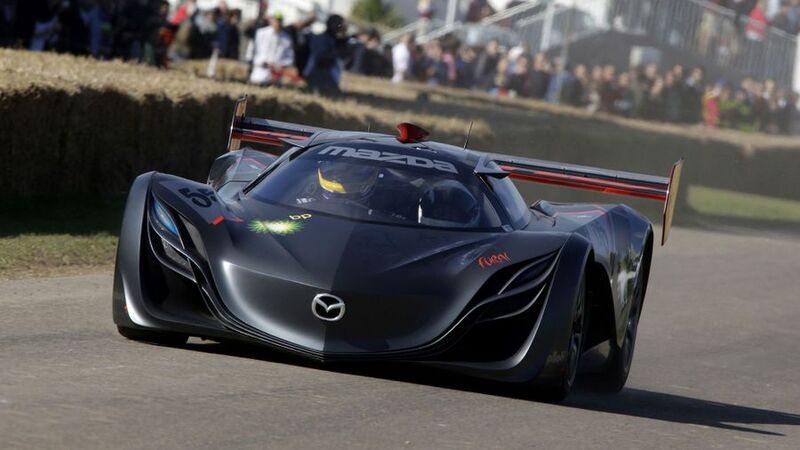 The Furai was built on the chassis of a Le Mans race car, and powered by a 460 horsepower rotary Wankel engine. It looked mean and futuristic, like something out of a Japanese anime film, and it went like absolute stink. Type “Mazda Furai” into YouTube and you can see footage of it in action, and make sure you turn the sound up to hear the signature wail of the engine. The designer hoped it would make full production, and even race at Le Mans, but it wasn’t to be. Less than a year after it was revealed, the Furai was destroyed by fire while being filmed for Top Gear. We mourn it to this day. Ok, so not technically one car, but a few. Skoda has been running its Azubi project since 2014. Every year, around 20 students from the Skoda Vocational School design and build their very own concept car. 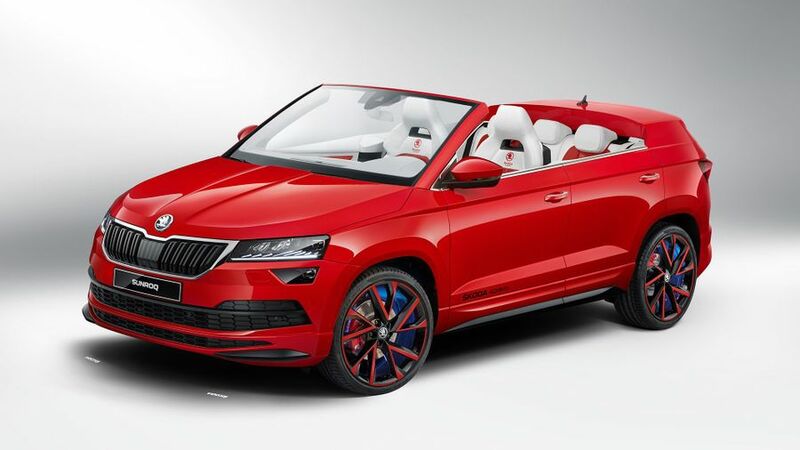 The only rule is that it has to be based on an existing Skoda model. Since 2014, they’ve created: the Skoda Citijet (a two-seat convertible based on the Citigo), the Funstar (a pick-up based on the Fabia), the Atero (a coupe based on the Rapid Spaceback), the Element (an electric beach-buggy version of the Citigo) and the Sunroq (a roofless SUV based on the Karoq). Despite the differences between the Azubi cars, a few details seem to come up every year: LEDs all over the place, glitter, a huge sound system, bright colours and a noisy exhaust. The reason I love the Monza is purely for its looks. The sleek and elegant shape is really beautiful, and the streamlined appearance – along with the side vents that look like fish gills – make it look a bit like a shark, but in a really cool, menacing way. 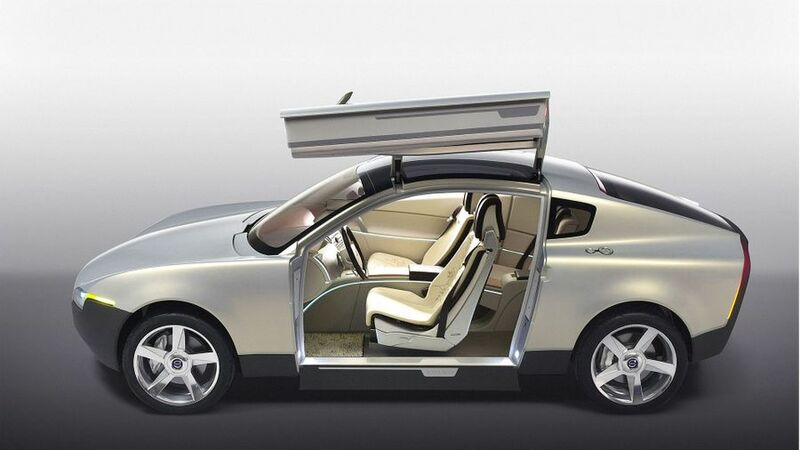 The gullwing doors also look amazing and the interior is slick, modern and suitably futuristic. I definitely want one, so Opel (well, Vauxhall over here), please get on and make it!